Specialists in the service and repair of oil fired heating systems, including oil tank installation and inspection. Osprey Heating and Plumbing Services specialise in the service and repair of oil fired heating systems and cookers. We pride ourself on providing high quality craftsmanship and operate throughout Cheshire and the North West. 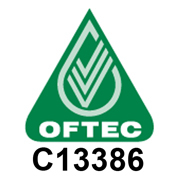 We are an Oftec registered company and all our work is fully guaranteed and insured. We pride ourselves on an honest, courteous, high quality approach. Please call for advice or a free no obligation quotation.